The School recruited 71 children in 2014 for a nine-month study. Half the children were sent to four adventure-based physical training day camps, involving rope course, rock climbing, archery and group competitive games, over six months. The remaining children attended extra-curricular activities such as health talks, museum and theme park visits, and playing computer games. Results after nine months of observation showed that those who took part in adventure-based training reported higher levels of physical activity by 96 percent. Confidence in physical exercises increased by 23 percent. Quality of life has increased by 7 percent. 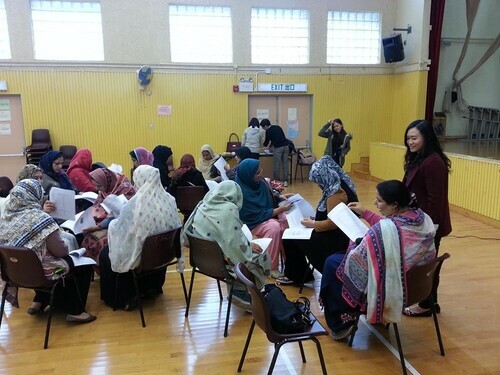 Auntie Angel Companion Program is a 3-year Knowledge Exchange project which started in September 2013. 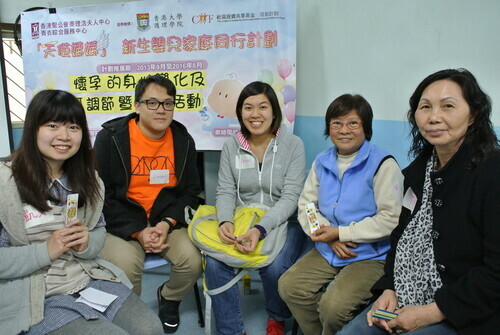 We collaborated with Tsing Yi Integrated Service Centre (HKSKH MacLehose Centre) and Kwong Wah Hospital Obstetric Department, to set up social networking for first-time parent, to provide physical and psychosocial support. We networked and matched the first-time parents with an experienced auntie and a nursing student in order to provide continuous support and trainings throughout the period. 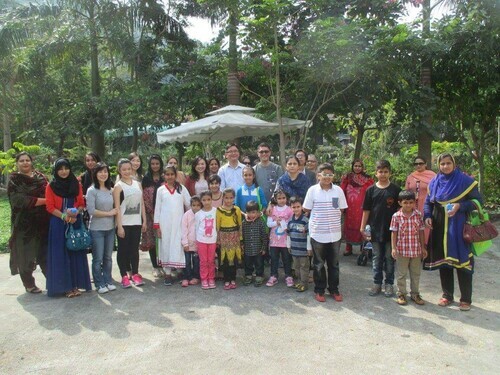 Hong Kong is a predominantly Chinese society, but has a sizeable South Asian ethnic minority (EM) community, with more than 60 000 South Asian EM people living here. Evidence showed that South Asian were at higher risk of Type II diabetes due to high carbohydrate content and sedentary lifestyles. This project aims at providing educational talks to enhance the awareness of diabetic prevention in Pakistani women. Through the assessments and interactions with them, we understood that they were generally knowledge deficit about diabetes symptoms, complications and the association between diabetes and obesity. Also, the social norms and traditions were some of the barriers for them to maintain healthy diet and regular physical exercise. Therefore, the educational talks delivered were culturally specific so as to enhance their awareness and self-management skills of diabetes. 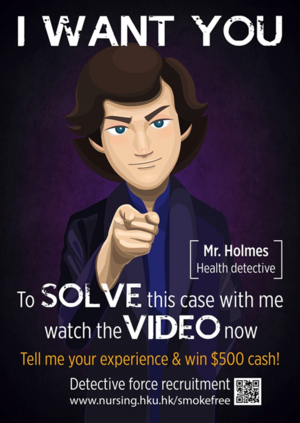 The project aims to develop an educational website to promote the importance of having a love relationship with mutual respect and healthy communications by using up-to-date research evidence. With the collaboration with Technology-Enriched Learning Initiative (TELI) team in HKU, the project was successfully conducted. 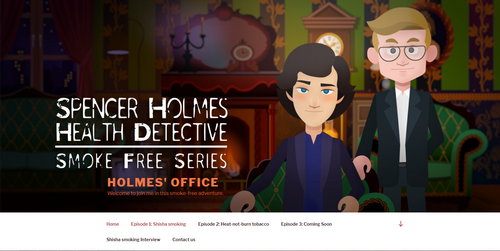 The website was created in a style that is targeting at adolescents and emerging adults. It provided a comprehensive educational platform for the targets to learn and get self-help materials on healthy, unhealthy and abusive relationships. It included texts, 10 stories and high quality movies. Also, there was an assessment page for providing a safe and comfort space for the emerging adults to assess whether they are in healthy, unhealthy or abusive relationships. 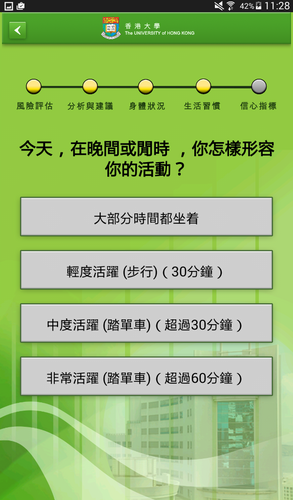 An online software application, the Hong Kong University Diabetes Risk Score (HKU DRS) App, was developed in 2014 as a diabetic risk calculator for the general population together with an individualized health education which promotes healthy lifestyles to prevent diabetes. 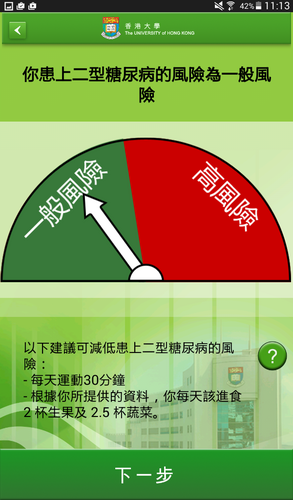 This free-of-charge app is available for both Android and IOS devices. 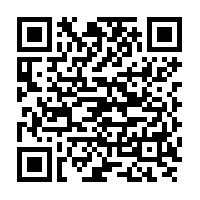 It can be downloaded from Google Play or App Store. Depression and anxiety are common in both patients with psychosis and their caregivers. These adverse conditions are linked with poor engagement in treatment services and adverse impact on the cognitive and psychosocial functioning, resulting in poor treatment outcomes for the patients, and impaired quality of life for both patients and their caregivers. The project aimed to help psychosis patients and their caregivers adjust stress and depression by teaching them some basic mindfulness skills through workshops, including mindful breathing, mindful walking, mindful eating and mindful stretching. 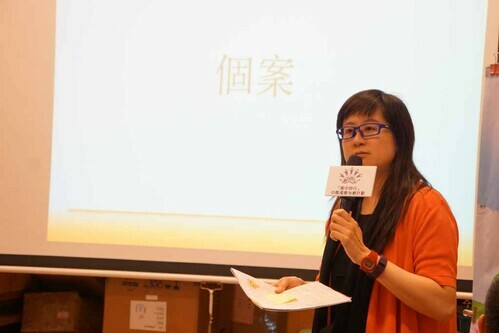 During January to July 2018, a total of seven workshops were conducted in five Non-government Organizations (NGOs) in four districts in Hong Kong. A total of 170 participants (patients with psychosis and caregivers) attended these workshops and had a taste of mindfulness basic skills. About 84% participants rated the quality of the workshop as good or excellent. About 65% participants believed that they learned much from the workshop. Over 90% participants agreed that the workshop brought psychological benefits for them, and over 810% showed interests in self-practicing after the workshop. This project equipped the patients and caregivers in community with some knowledge of dealing with negative emotions. The guided mindfulness practice during the workshop gave the participants a taste of relax and benefited them in psychological well-being. This project aims to promote quitting and reduction to female smokers through training female youth as smoking cessation and reduction ambassadors (SCRAs). 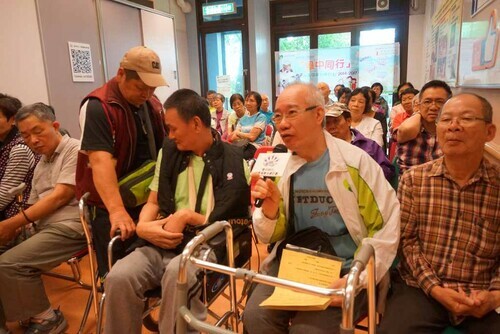 The funding of project is supported by the Health Care Promotion Fund, Food and Health Bureau, Hong Kong SAR. 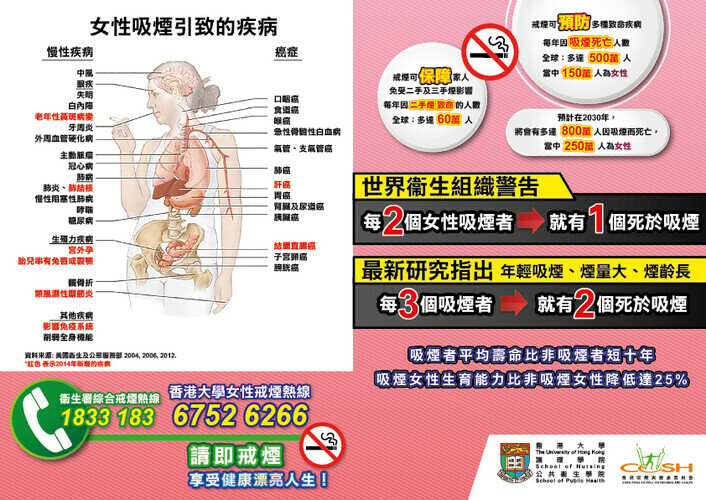 We designed a leaflet to show common and women-specific health hazard of smoking and distributed to female youth via the Hong Kong Girl Guides Association. We also have conducted training to over 150 female youth SCRAs, equipped them with knowledge of smoking cessation and skills of women-specific smoking cessation counselling. Some of the SCRAs proactively practiced the knowledge and skills they gained from the training by giving support and brief smoking cessation advice to female smokers to help them quit smoking. High salt intake is associated with high blood pressure. The World Health Organization recommends a daily salt intake of less than 5g. However, the average salt intake among the Hong Kong population far exceeded such limit. Reduction of salt intake as a means to population control of hypertension has been drawing increasing attention in Hong Kong. 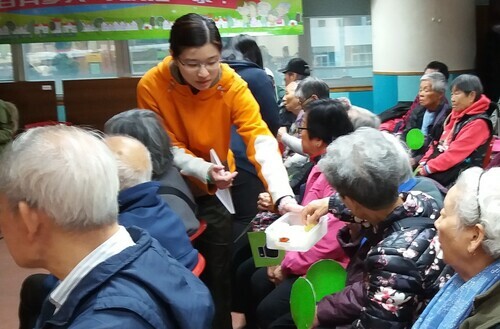 This project collaborates with elderly community centres to deliver health talks, with a view to raising awareness towards sodium intake for the older people. The talks aim to raise the health literacy for low salt intake, including identifying hidden salt in daily consumption and understanding how to read nutrition labels to check the amount of sodium in food. Also, different ways to enhance tastes of food without using salt are discussed. Compared with traditional health talks, a food tasting section and interactive games are incorporated to make the talks more interesting. In 2016/2017, the talks benefited more than 300 elderly. The health literacy related to low salt consumption among the participants, as assessed by a validated questionnaire, was found to be higher than those without attending the talks. 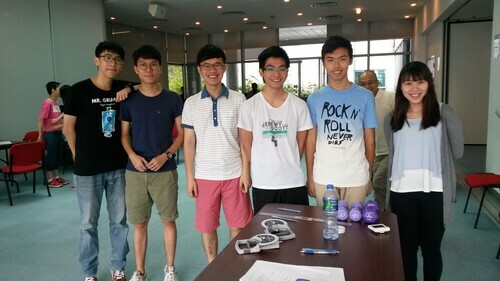 Since 2009, the School has been a co-organiser of the “Quit to Win” Smoke-free Community Campaign, to encourage and recruit more smokers to kick the habit. 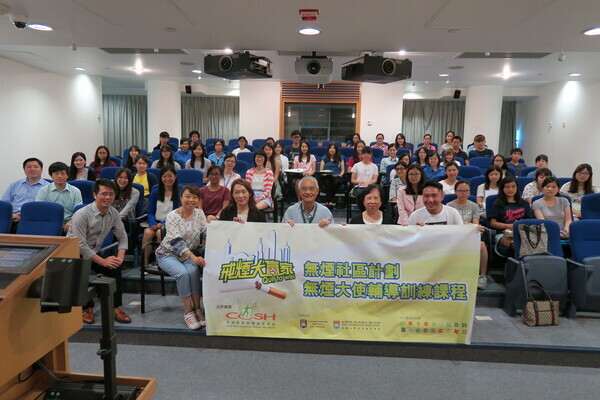 The Campaign also provided training workshops for over 300 staff members or volunteers of non-governmental organisations (NGOs) and secondary or university students to train as smoking cessation ambassadors to help smokers in the community to quit smoking. The Campaign led by the Hong Kong Council of Smoking and Health (COSH) is mixed with the features includes media promotion, smoking cessation counselling and scientific research. Patients with heart attack need a timely medical treatment, and early presentation in hospital is essential to reduce morbidity and mortality. However, pre-hospital delay of heart attack is common globally. Hong Kong, a rapidly ageing Chinese population, is not an exception. Health seeking behaviors have been shown to be associated with knowledge of heart attack symptoms. 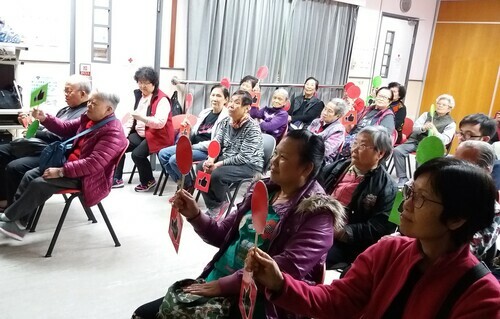 This project aims to raise the knowledge level on heart attack symptoms and appropriate health seeking behavior for older people in Hong Kong by disseminating health education through video. A 6-min video is shown at the 18 Elderly Health Centres operated by the Department of Health in 2017/18 to educate the older people and their family caregiver on the topic. In long term, it is expected to reduce pre-hospital delay if the older people encounter heart attack in future. 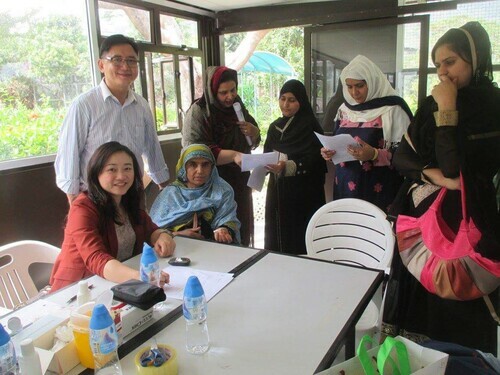 The project collaborates with the AKA LinkAge Centre to organize series of health promotion topics for the Aberdeen community such as medication management at home for the elders, child development and health screening and exercise for women. Representatives from the School initiate health activities, such as health assessment, talk, discussion, exercise or game, Q&A session and health consultation, to raise the awareness on healthcare and to provide local support to the community. Health professionals and recovered patients are also invited to be the guest speakers of seminars, to present on broad spectrum of health topics.